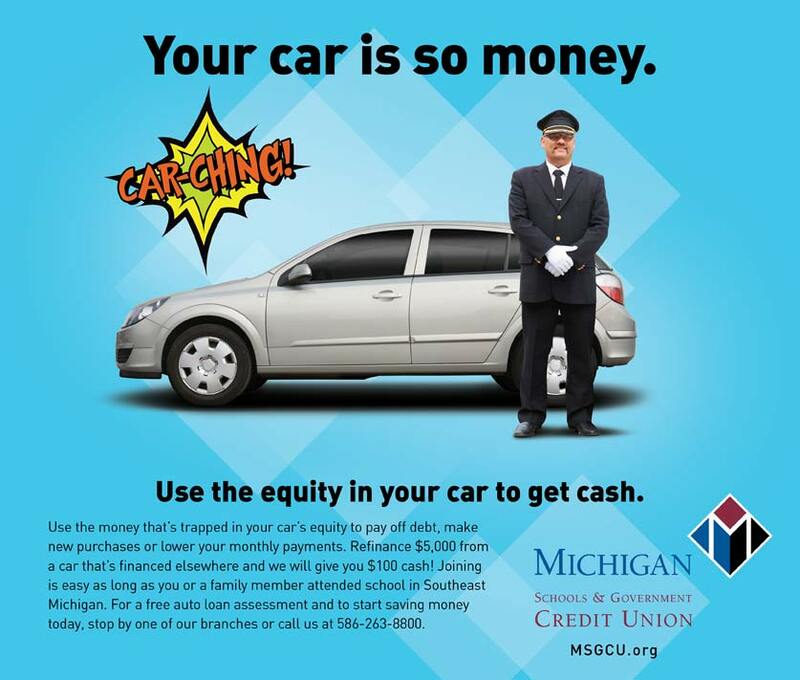 Michigan Schools and Government Credit Union (MSGCU) established ambitious growth goals for their loan products in 2013. 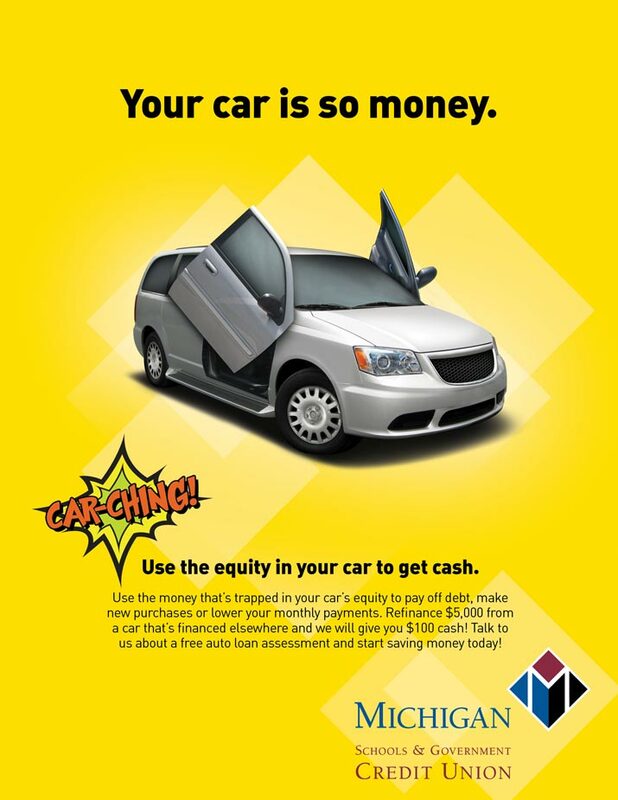 To support these goals, they launched a loan push to a general audience, as well as to their current members (ages 25-40) to drive interest and loan volume. 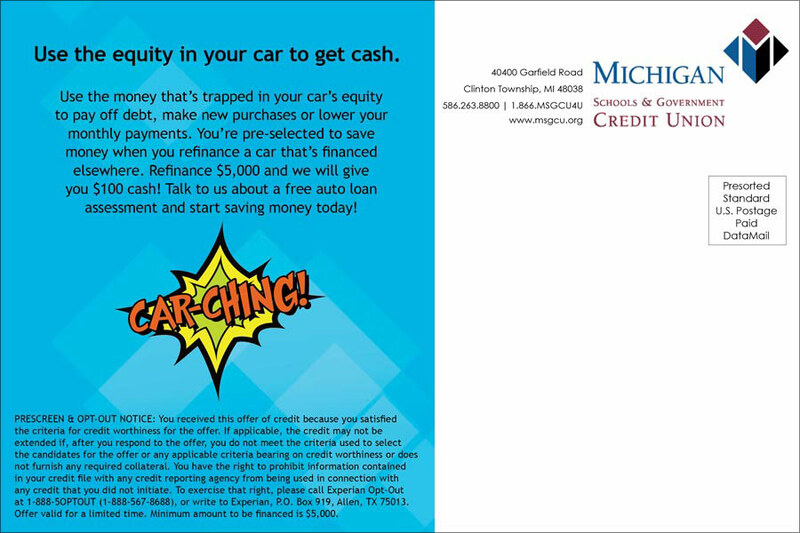 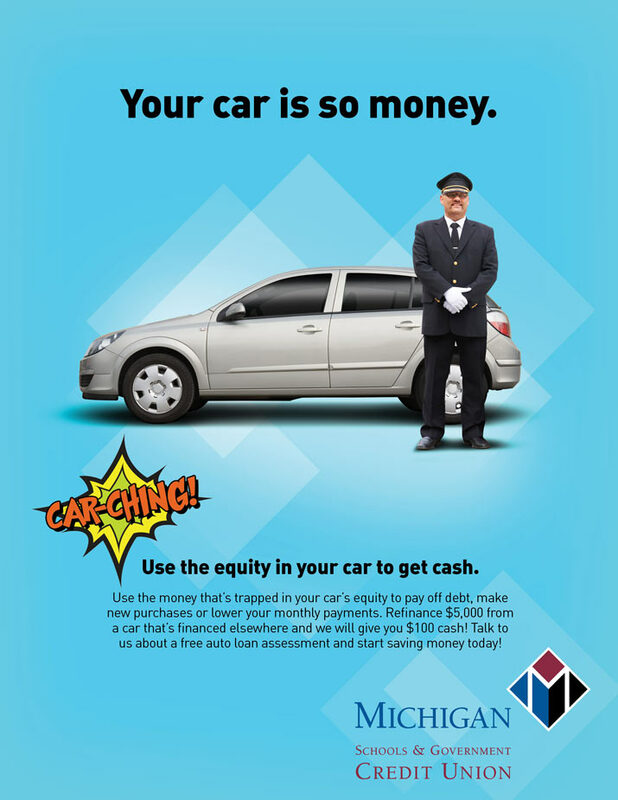 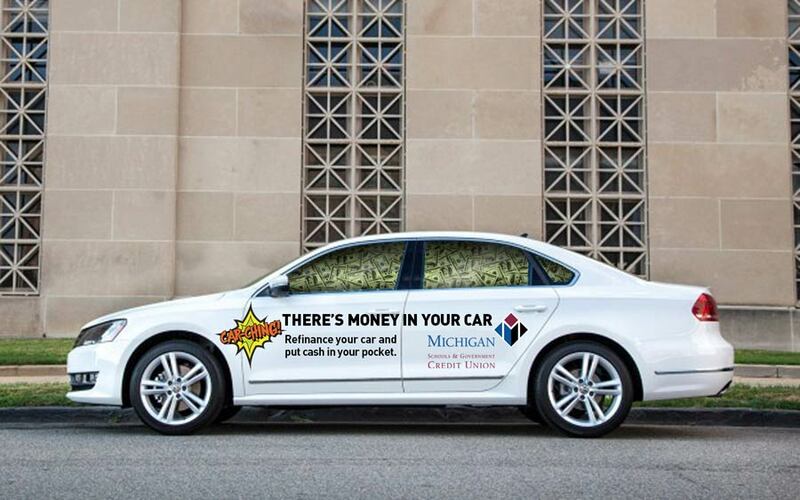 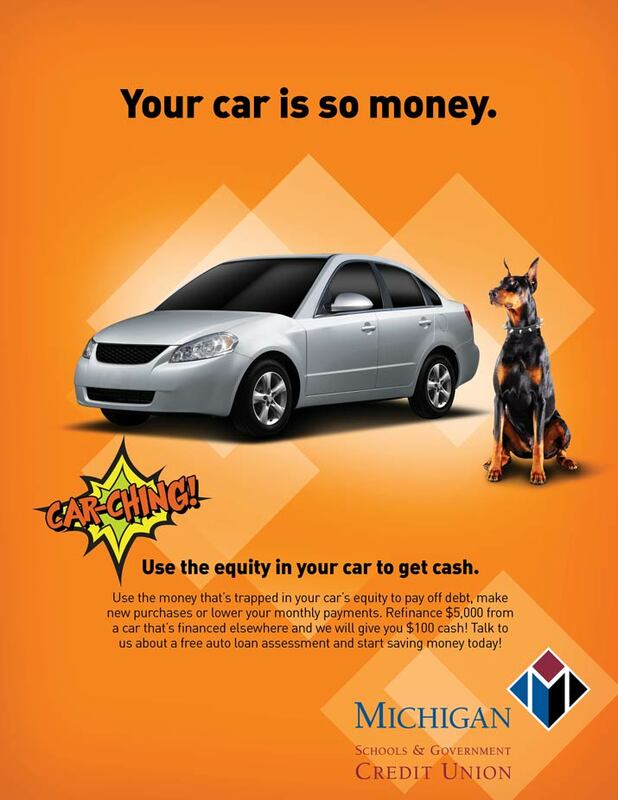 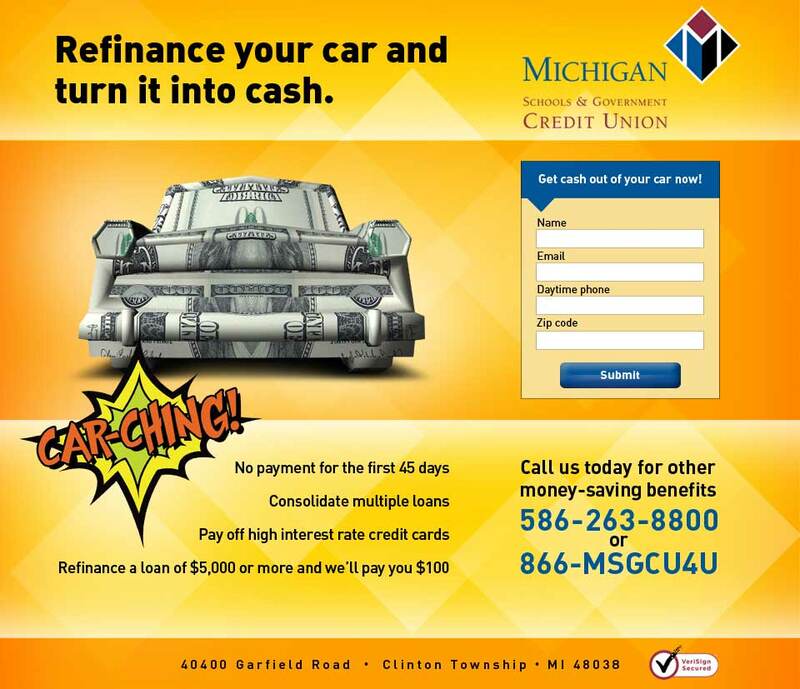 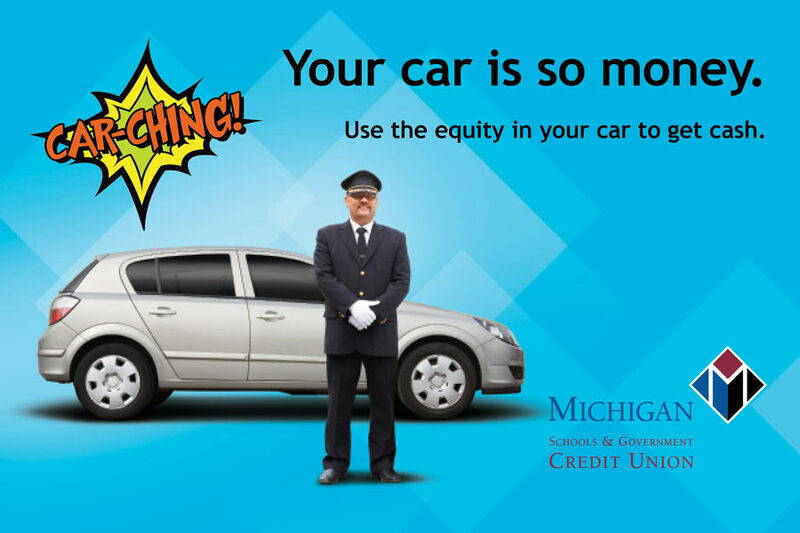 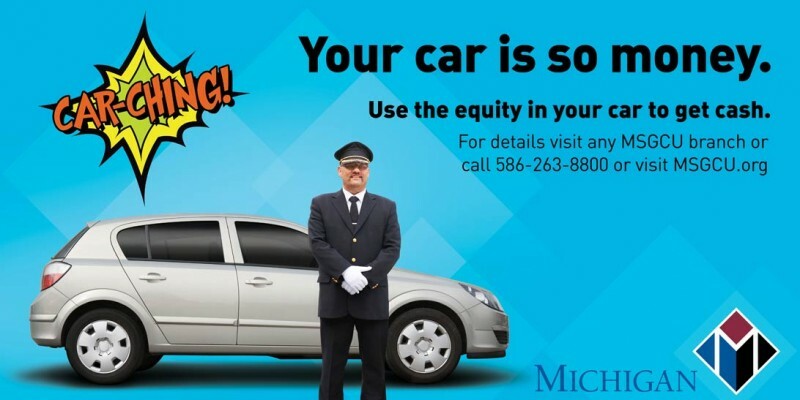 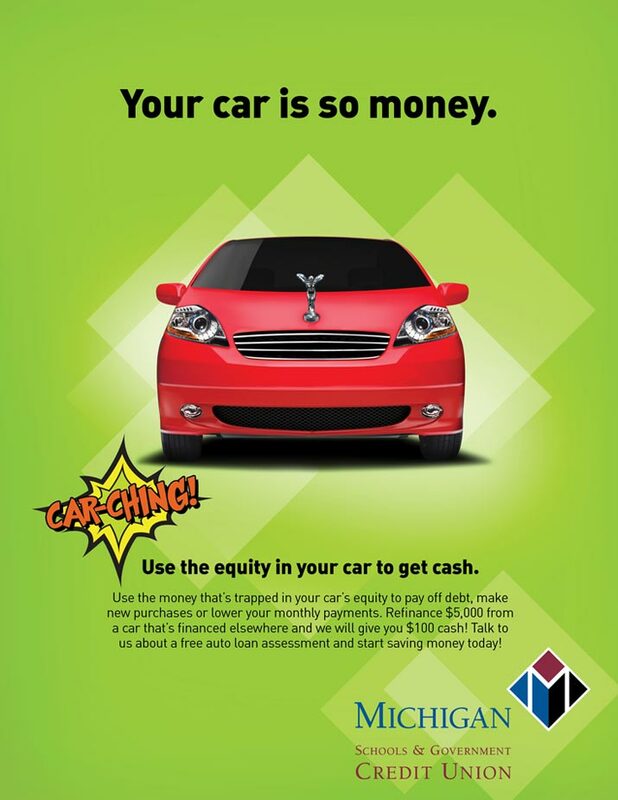 We created the Car-Ching campaign to educate consumers that were in the market for a car and/or already an auto loan customer. 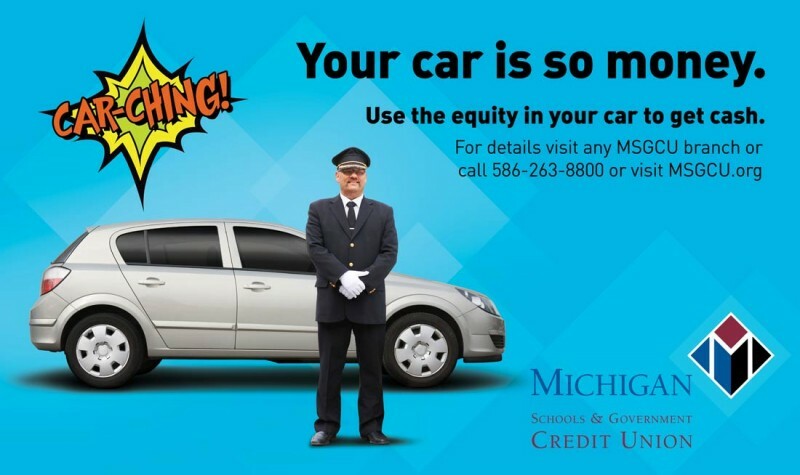 We wanted to let them know that MSGCU could save them money, or put more cash in their pockets, by refinancing or bringing their loan to MSGCU. 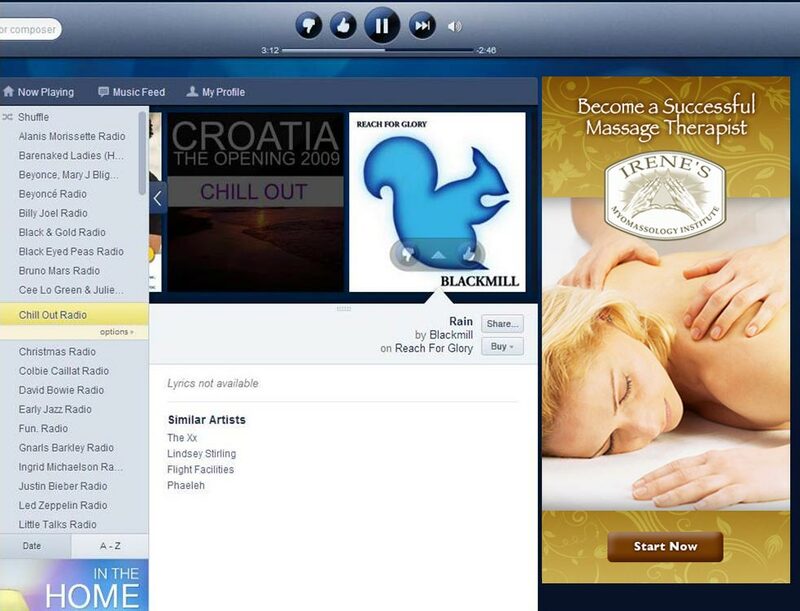 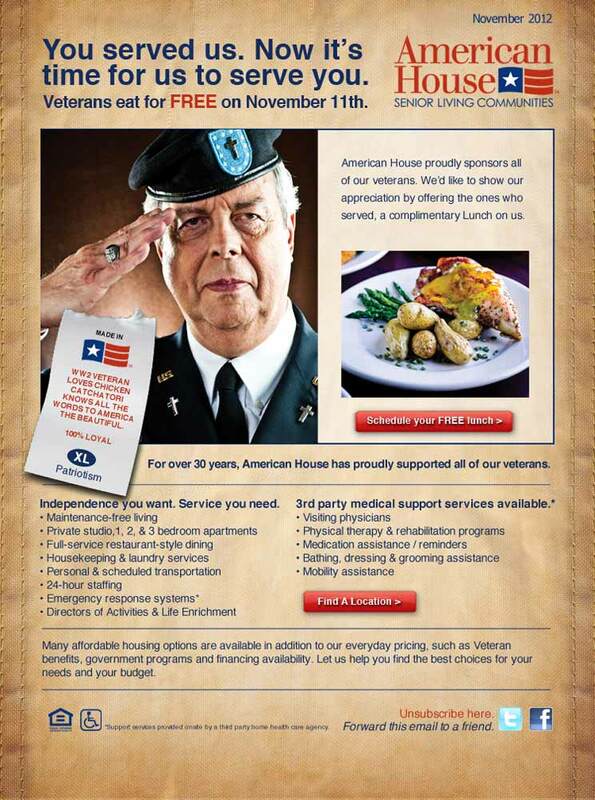 We supported this activity with in-branch promotions, as well as an in-market advertising campaign. 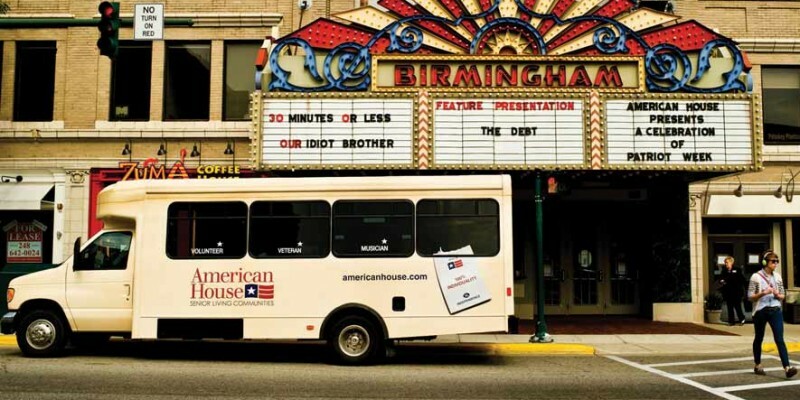 The campaign was one of their most successful initiatives to date. 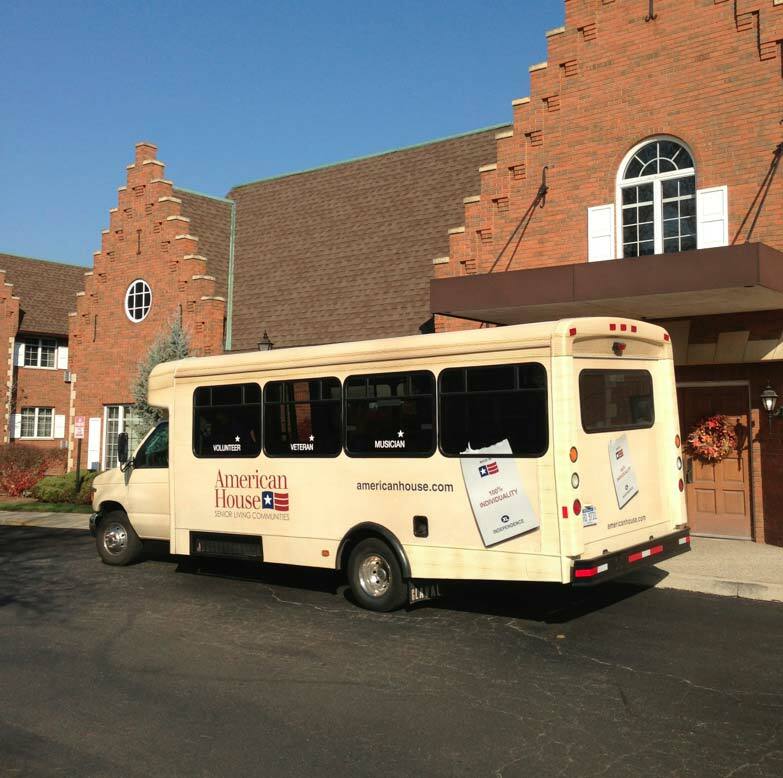 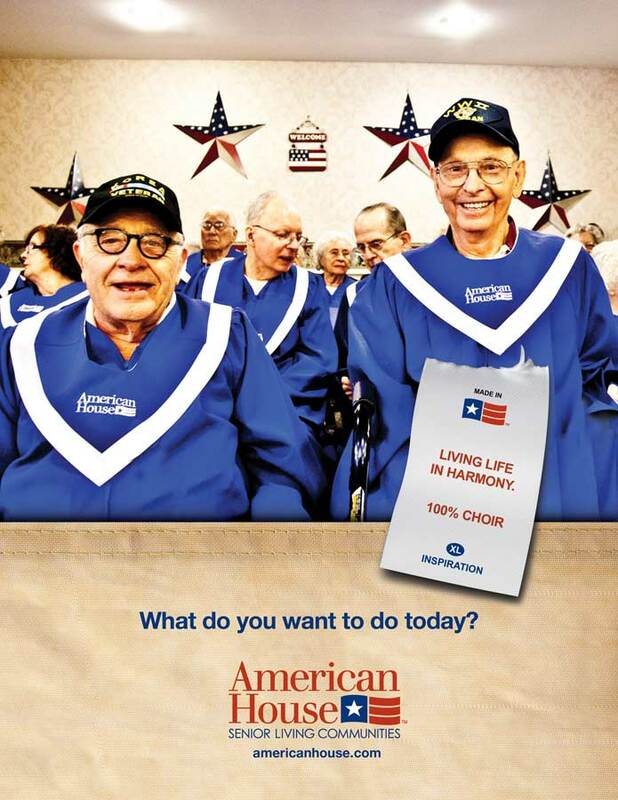 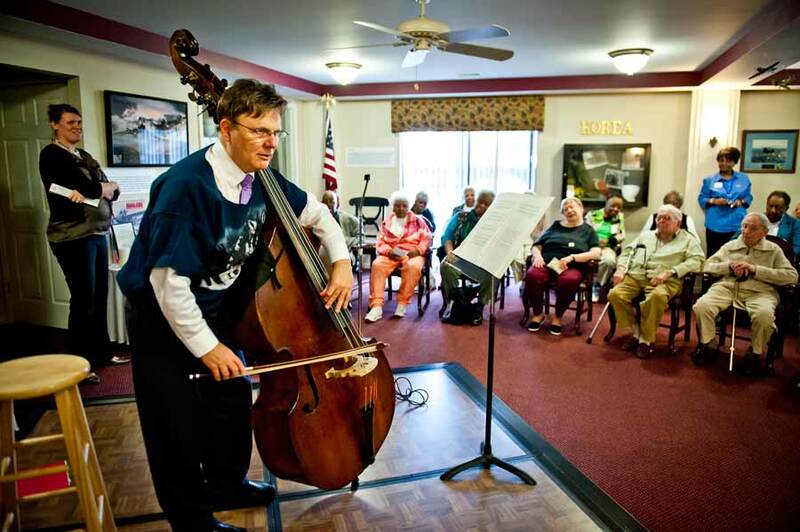 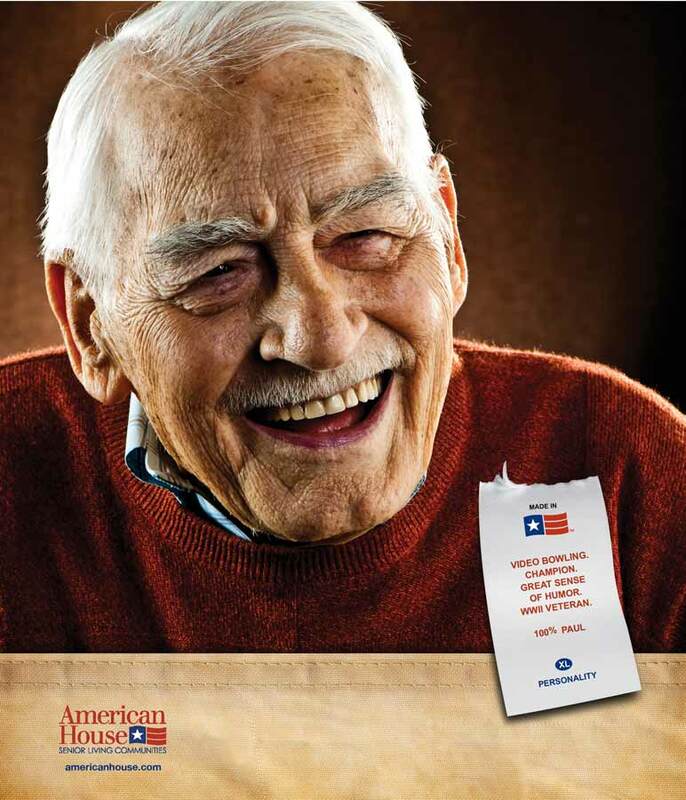 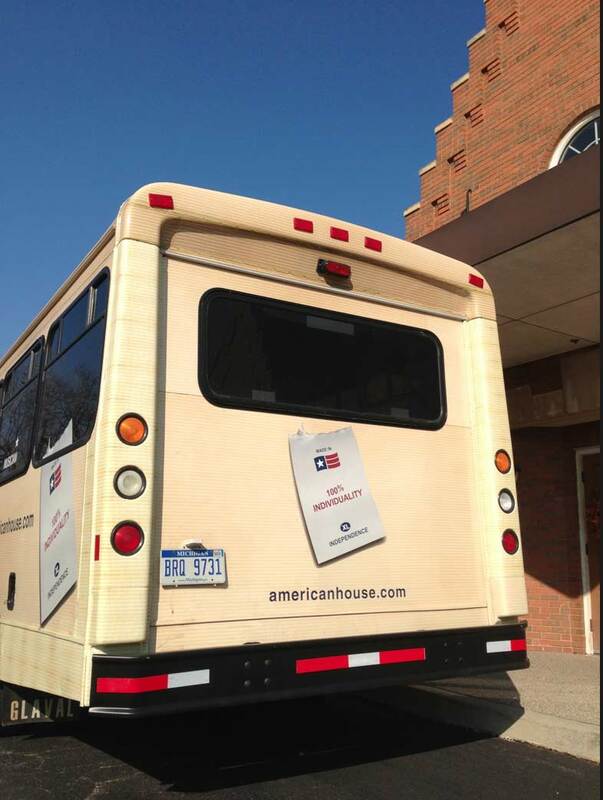 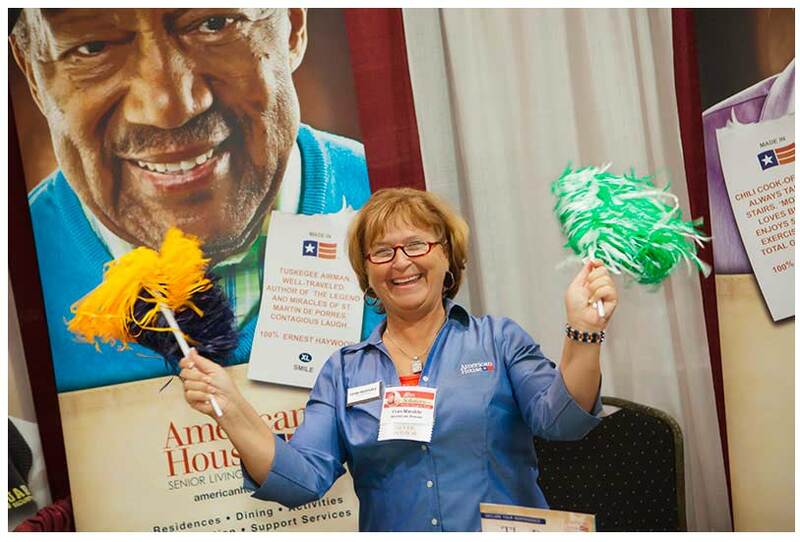 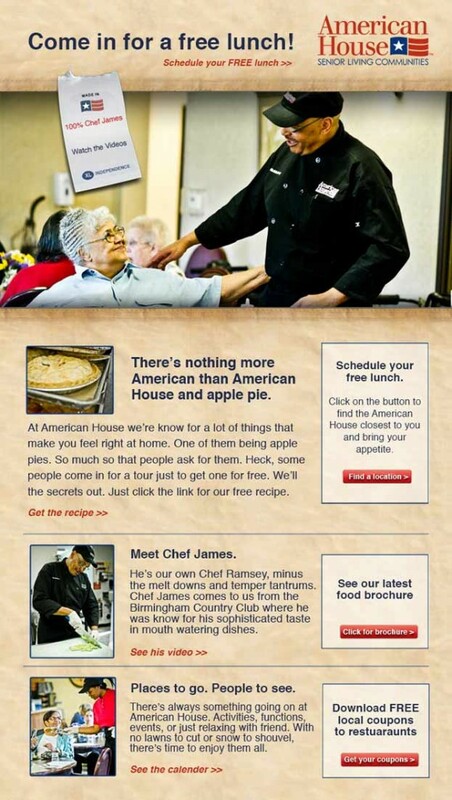 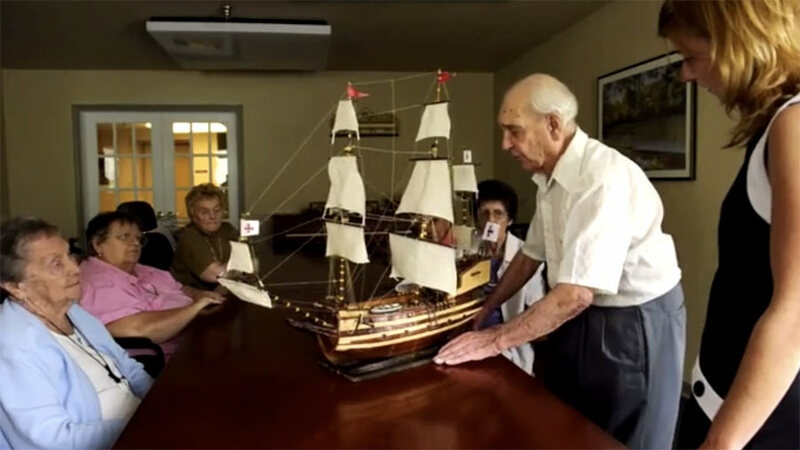 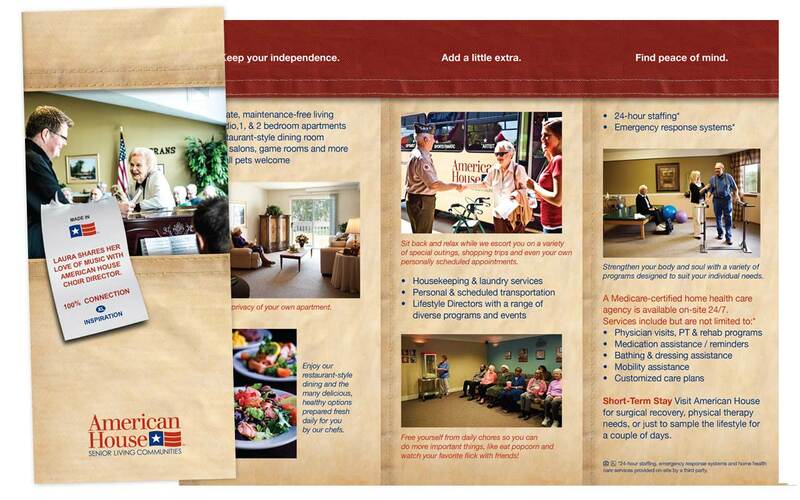 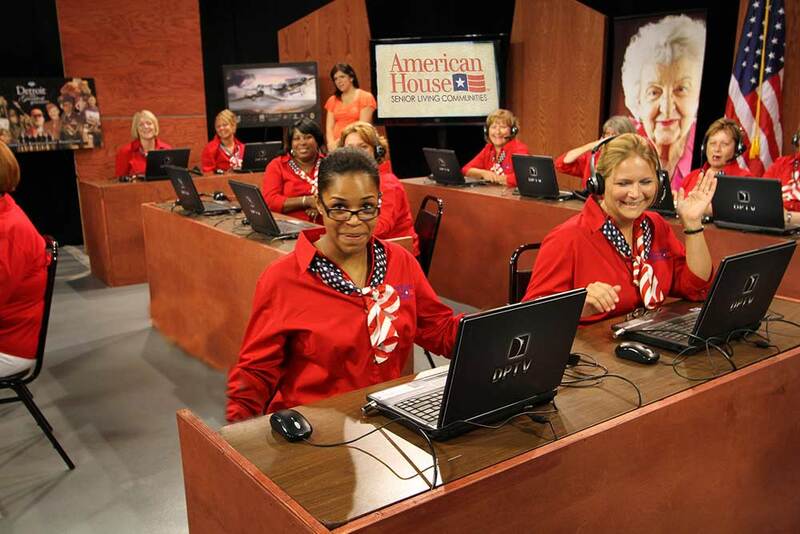 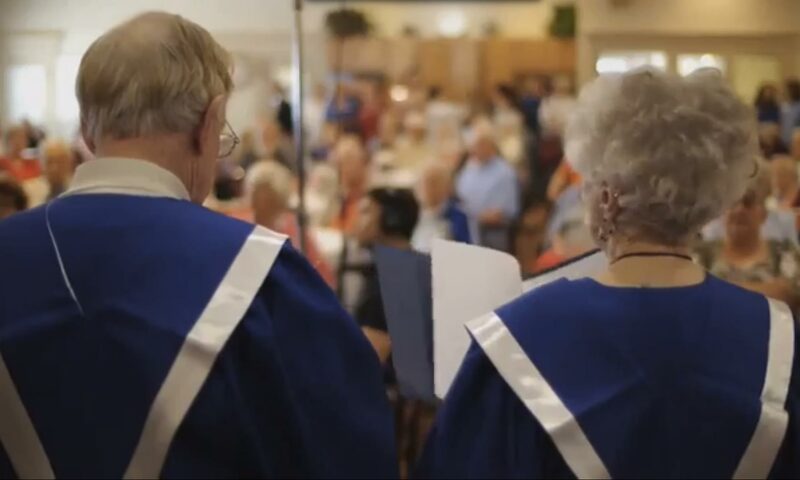 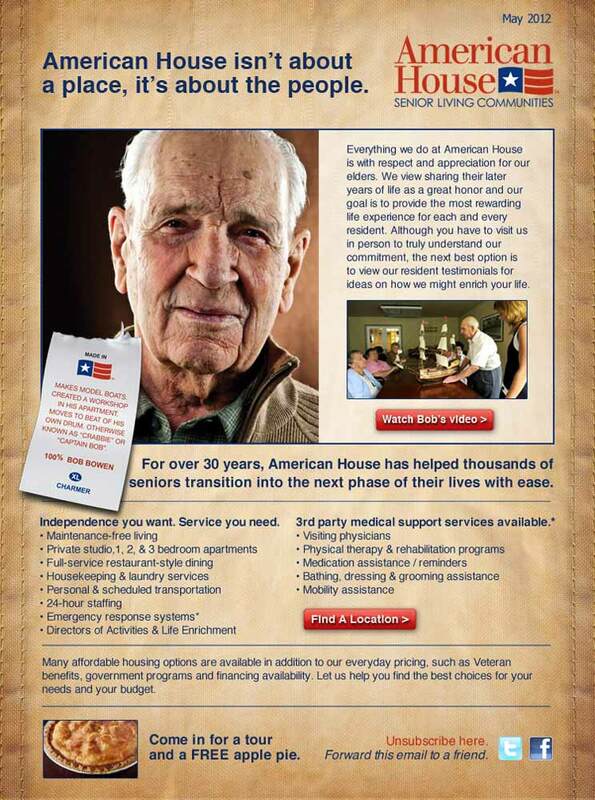 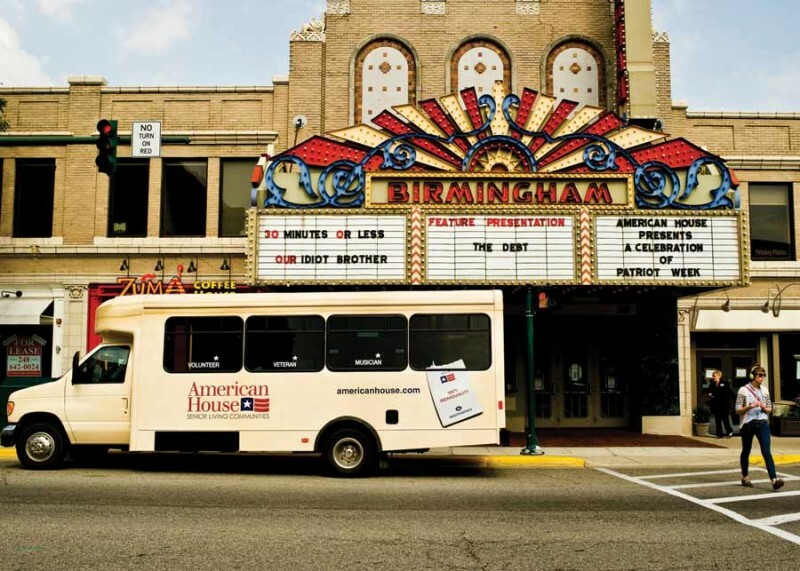 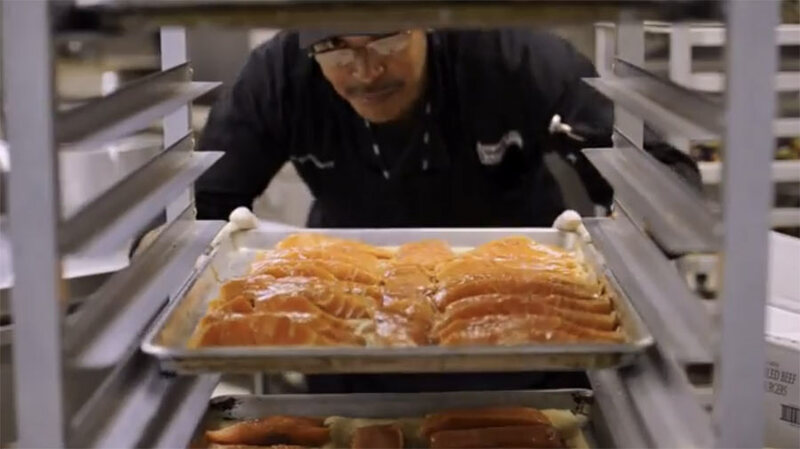 With a desire to grow its portfolio beyond 25 communities, American House Senior Living Communities wanted to define their brand, solidify their presence in the local market and attract national investors. 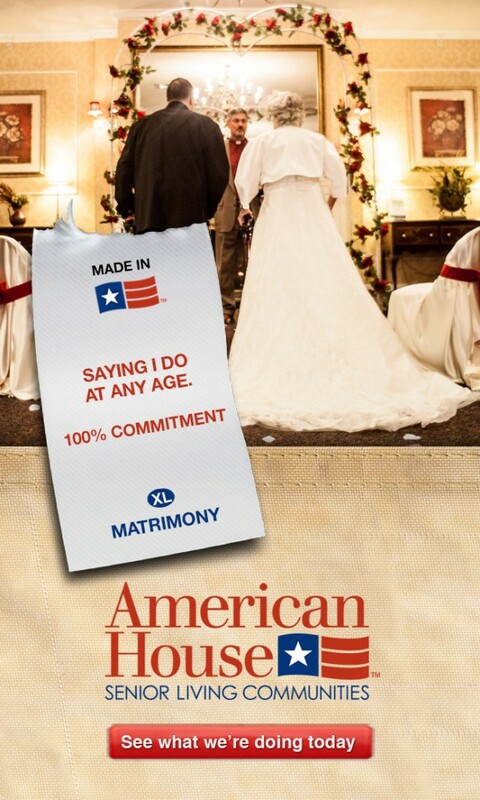 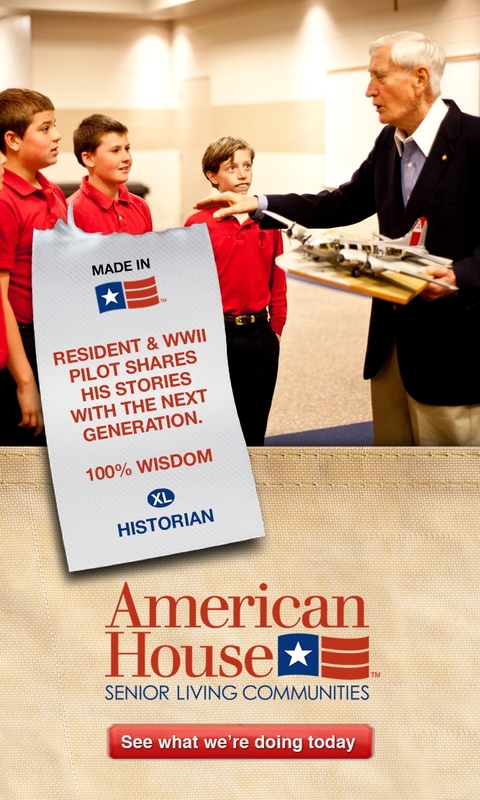 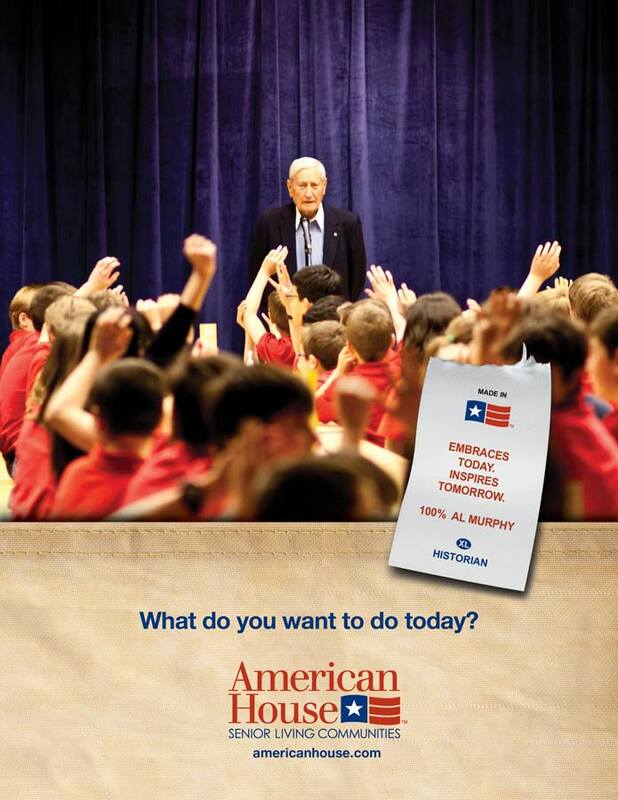 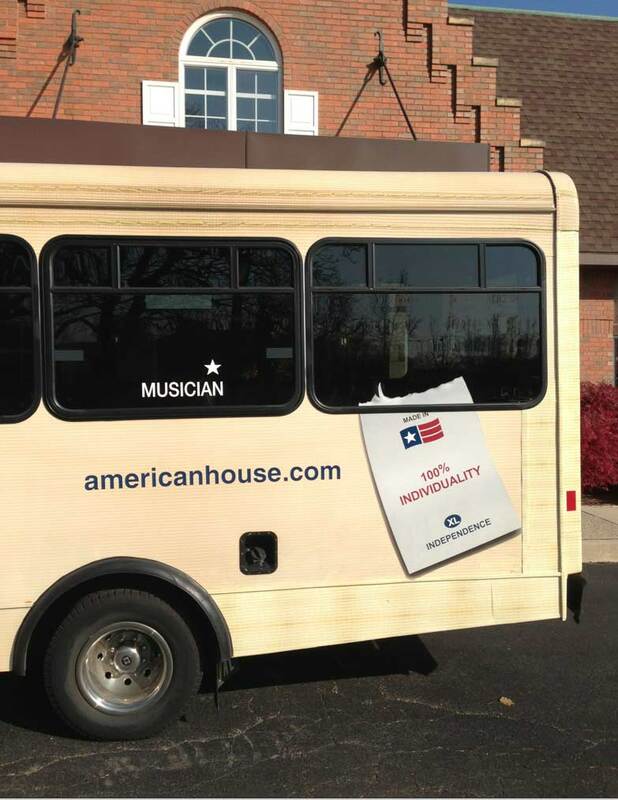 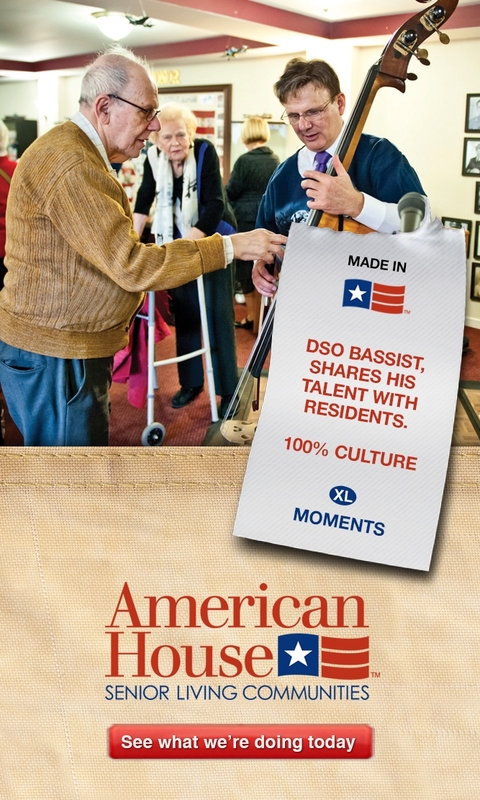 Within six months, we launched “Made In American House.” – a breakthrough 360˚ brand campaign recognizing specific residents for the dynamic, inspirational and charming people that they are. 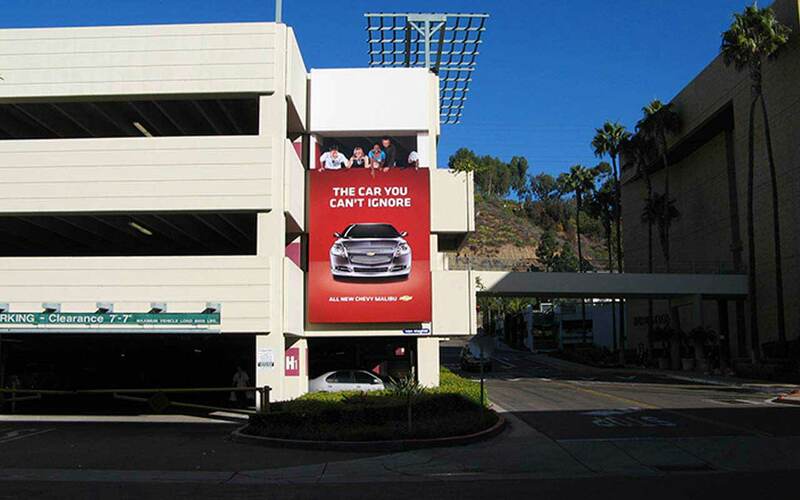 Eventually expanding our message to encompass employees and moments, we increased occupancy from 89% to 95% and attracted numerous residents and investors. 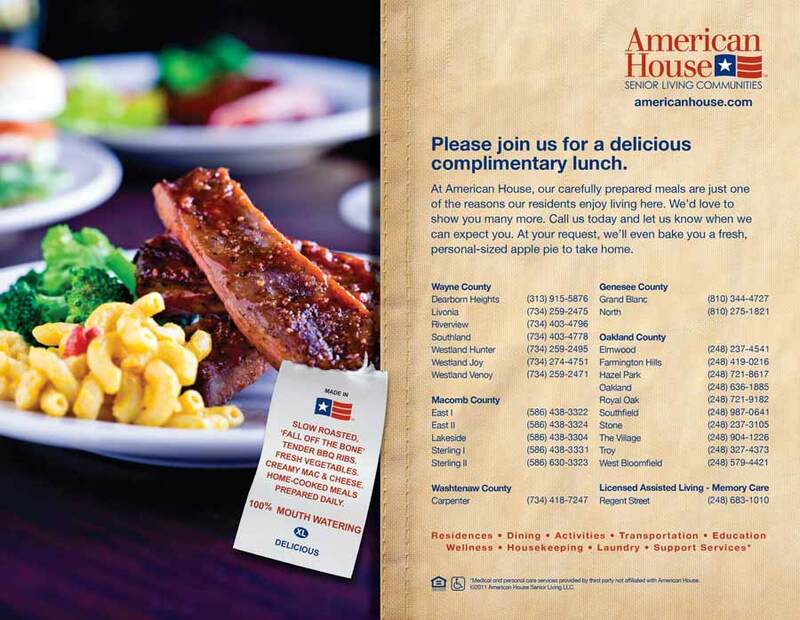 Since the launch, American House has added seven communities and plans to build and buy over a dozen more by the year’s end. 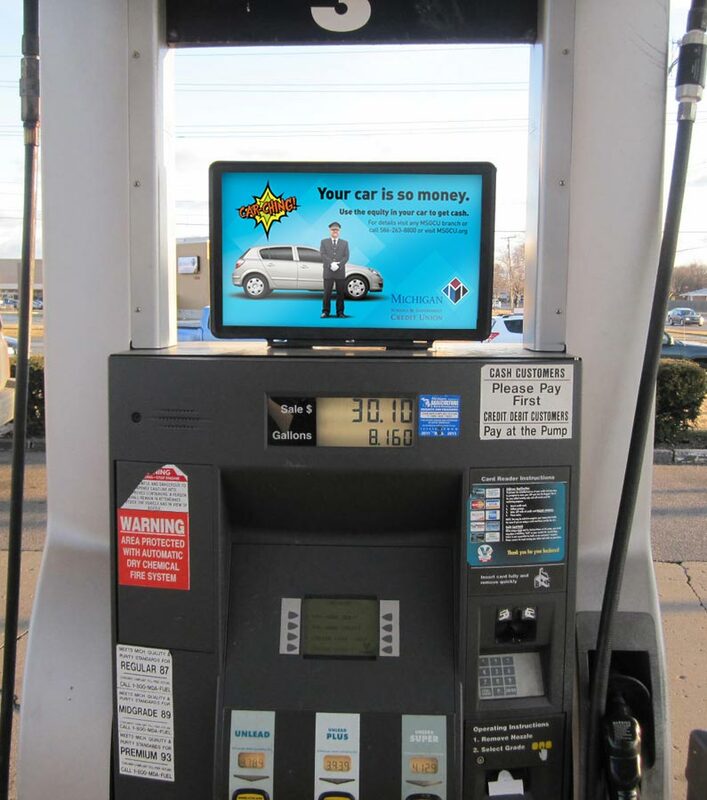 The campaign includes television, print, a multi-page website, optimized mobile site, banner ads, e-blasts, social media, web videos, out of home and a brand essence video. 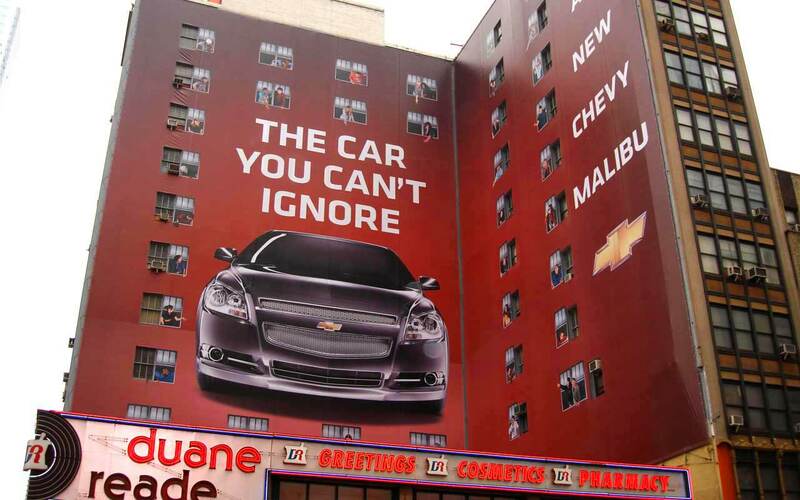 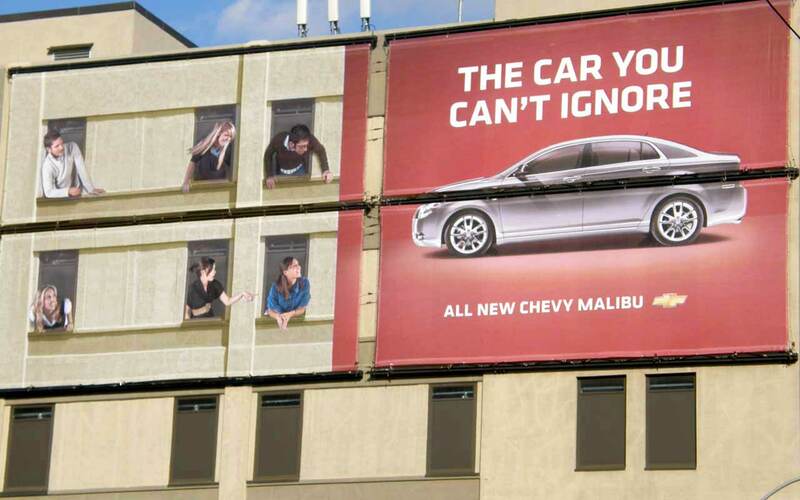 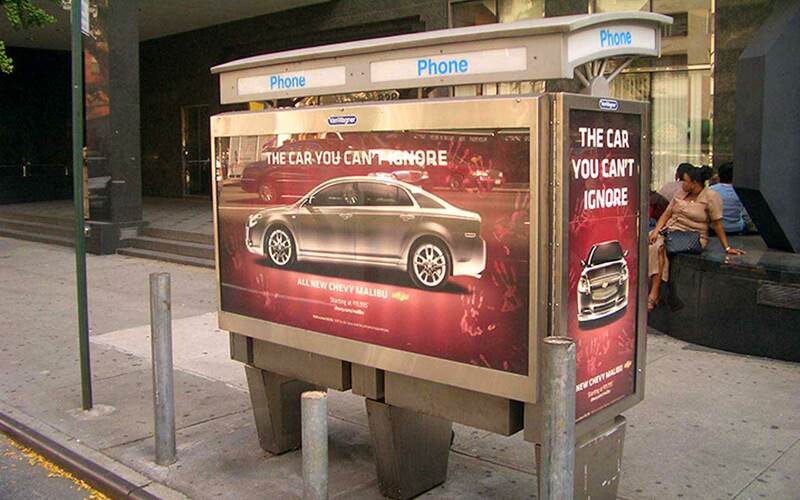 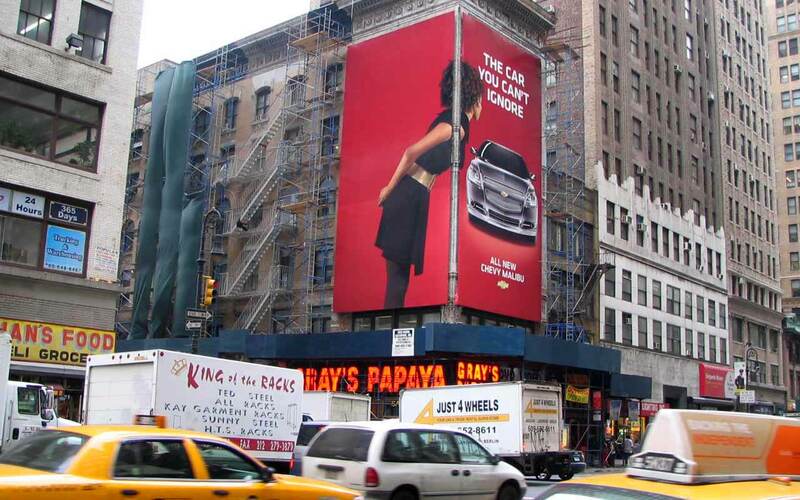 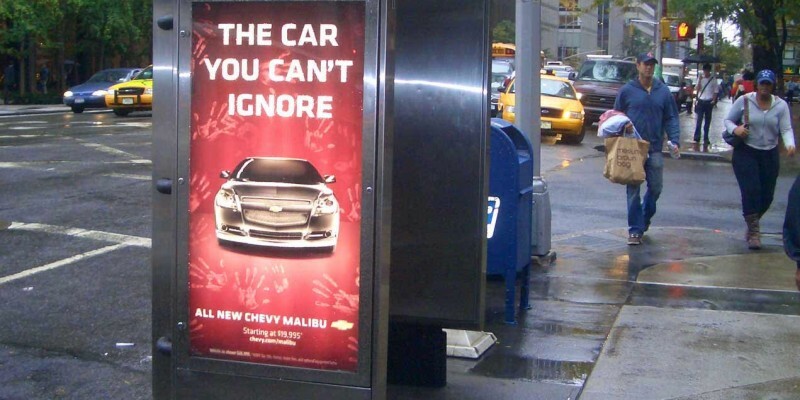 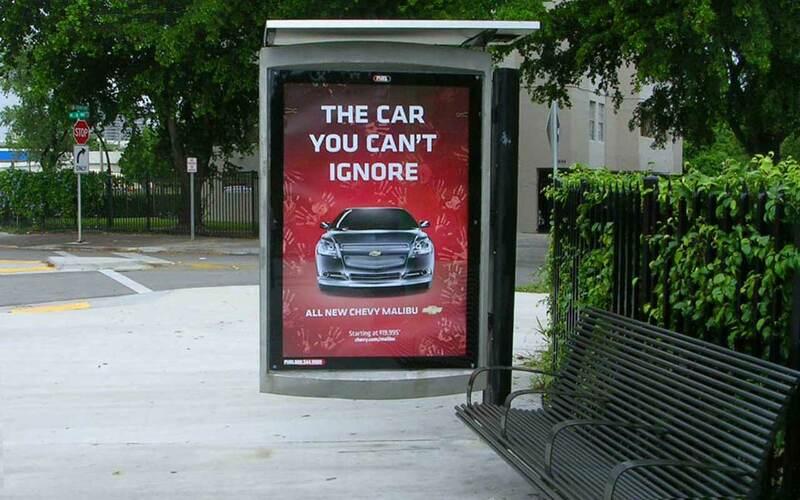 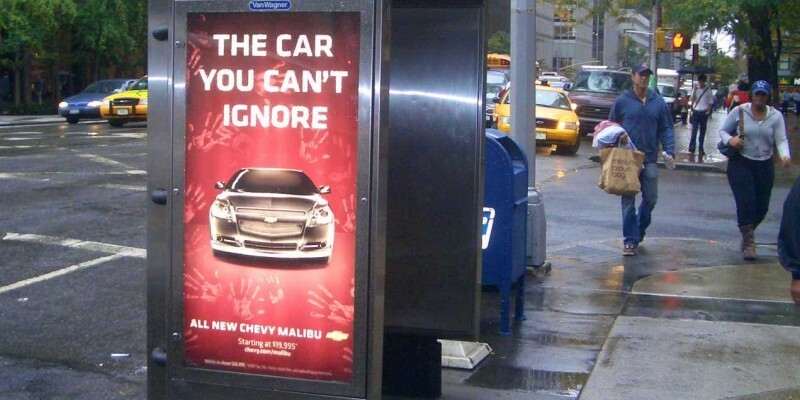 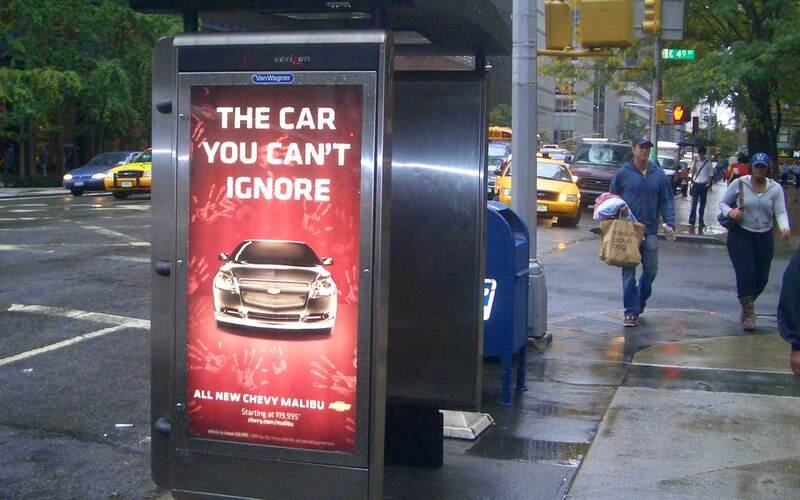 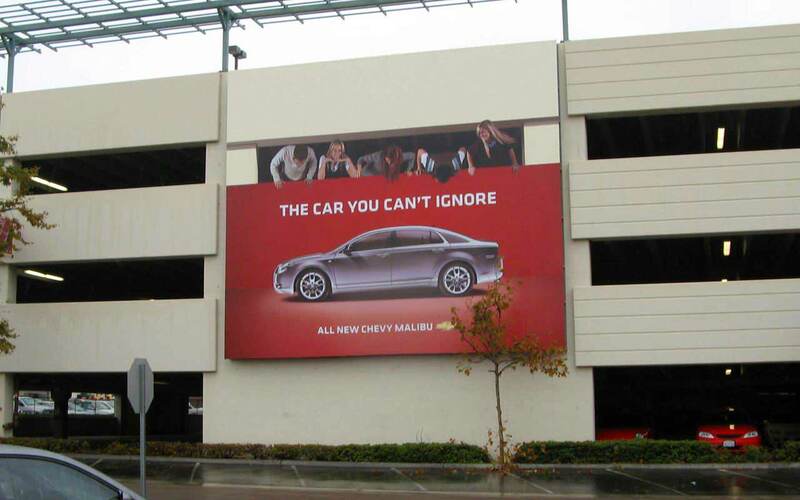 Chevy launched the Malibu with the tagline, “The car you can’t ignore.” So we launched an outdoor campaign in high traffic locations that you really couldn’t ignore. 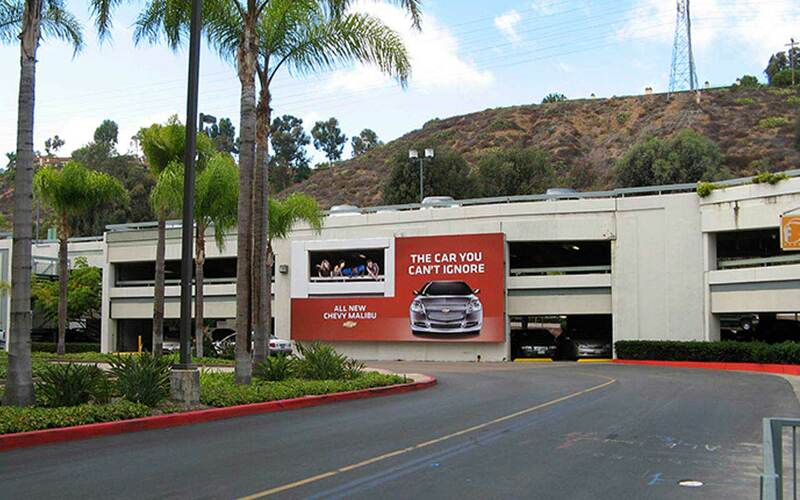 Using forced perspective, extensive Photoshop and strategically planned photo shoots, we made it look like people everywhere were gazing at the Malibu. 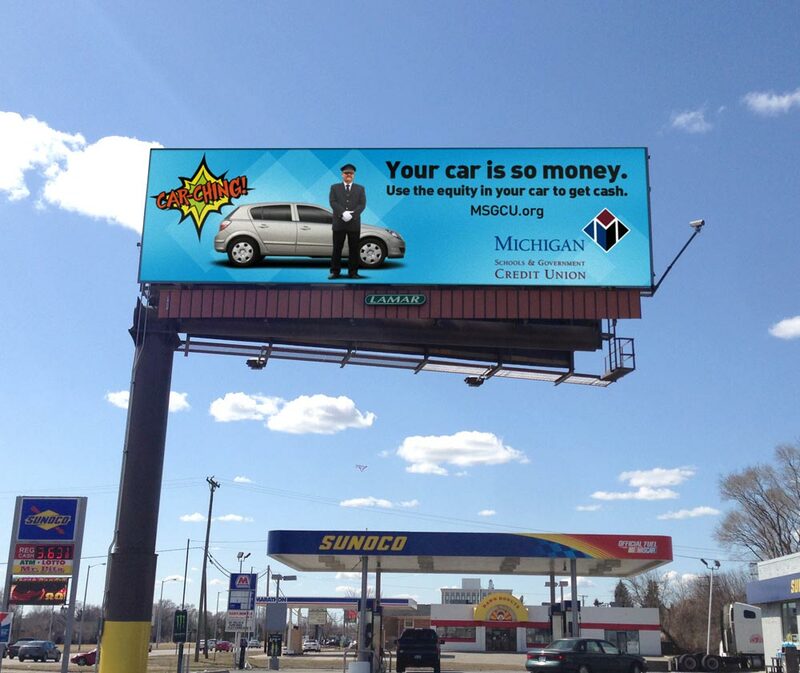 People stopped, took pictures and shared the campaign online making it a huge success. 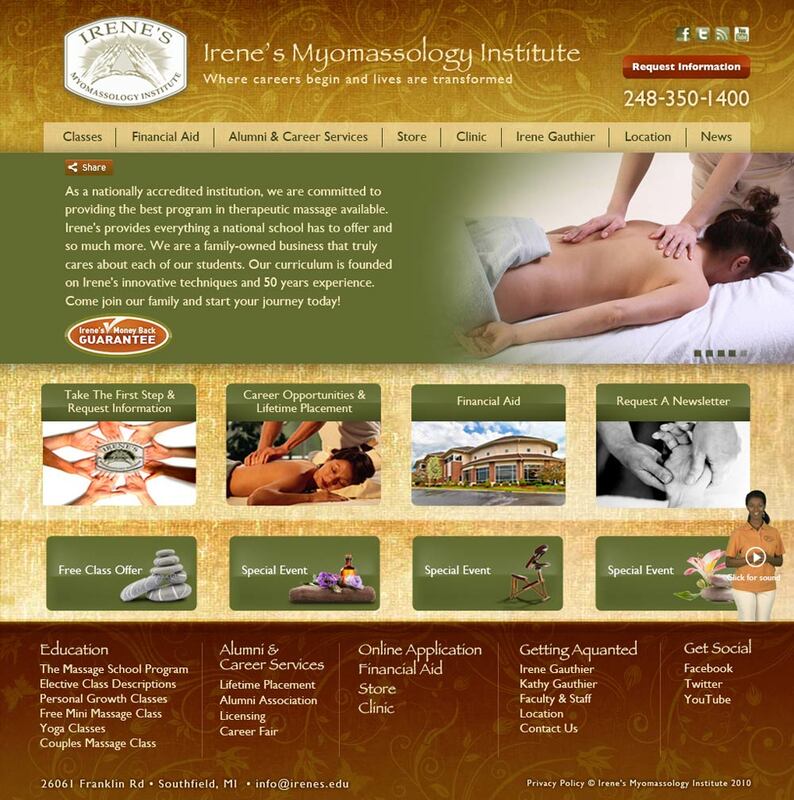 Irene’s Myomassology Institute is a nationally accredited institution that is committed to providing the best program in therapeutic massage available. 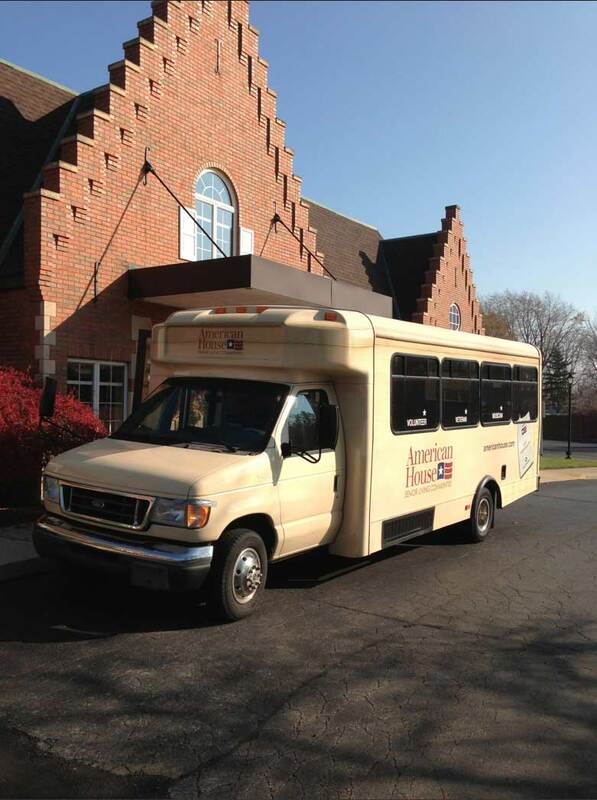 We were charged with letting people know Irene’s provides everything a national school has to offer and so much more. 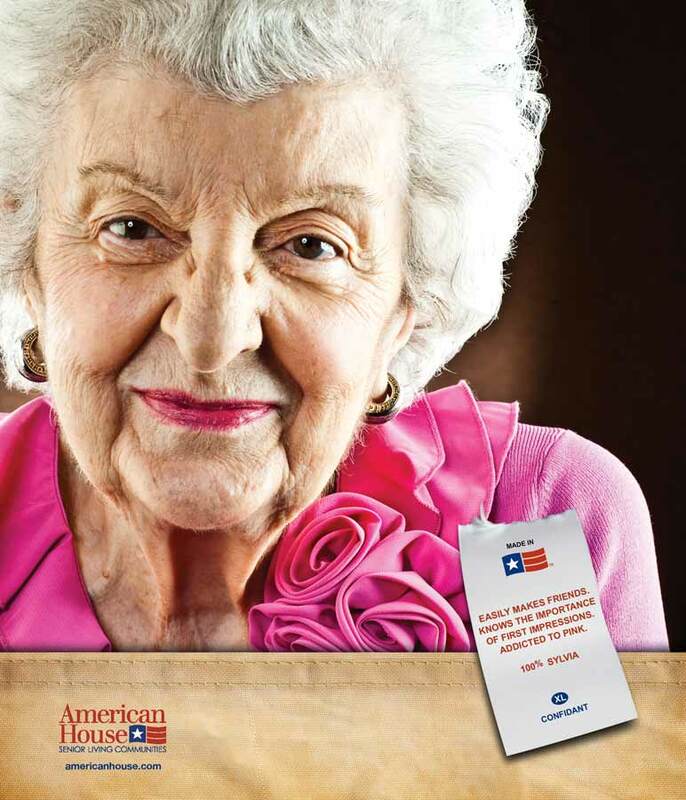 Since the demographic was geared toward a younger age group, we launched the campaign online using Pandora as our platform. 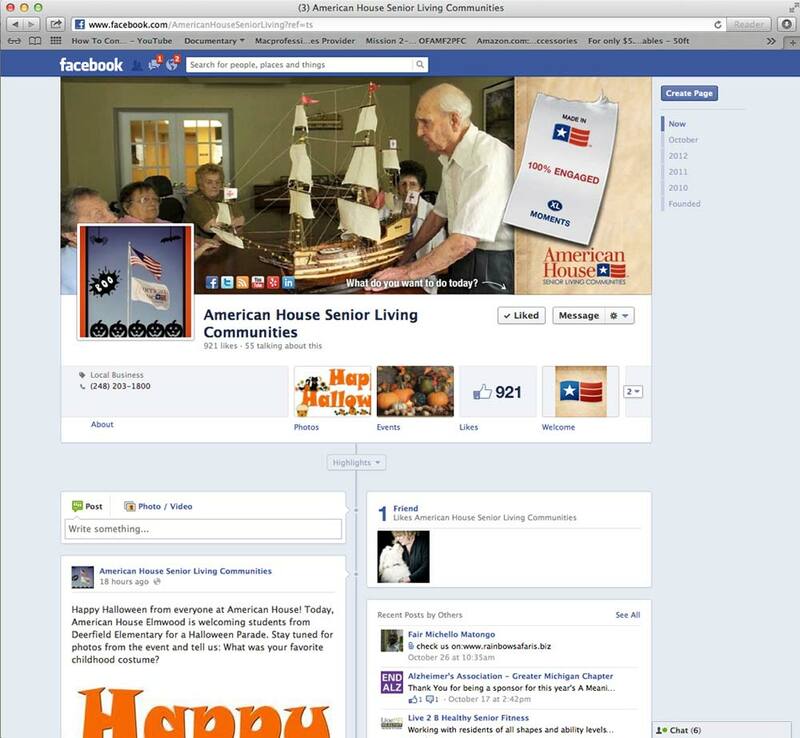 The results were more hits on their website which lead to overall high enrollment in the program.